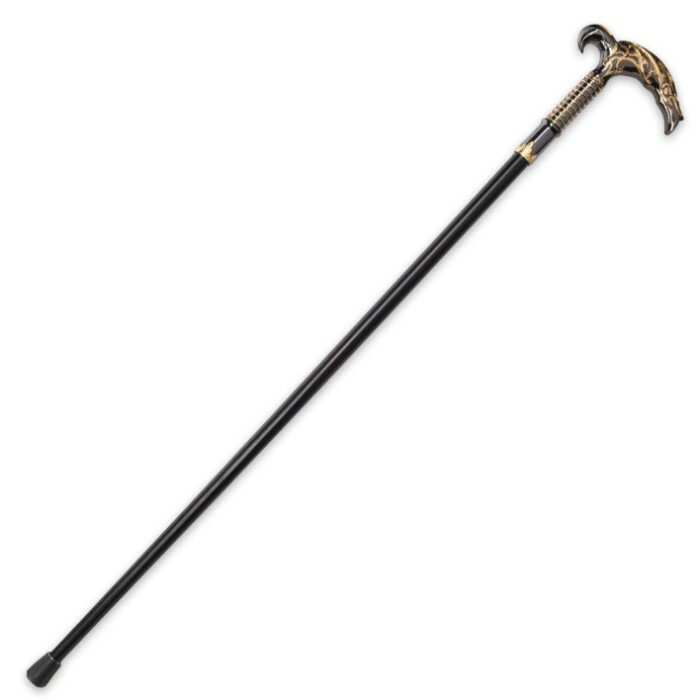 There is no better accessory to your wardrobe than our Atlantis Steampunk Sword Cane! 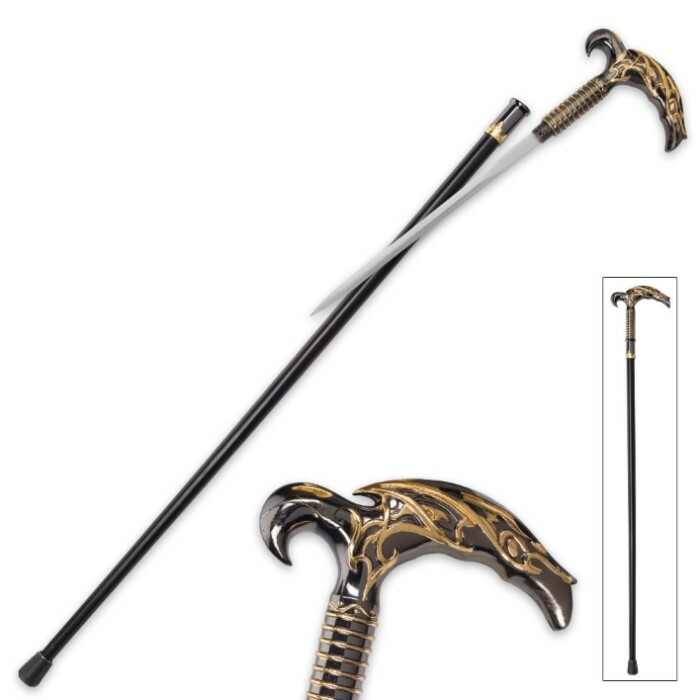 If you’re into Steampunk, you absolutely cannot, really, cannot pass this incredible sword cane up! 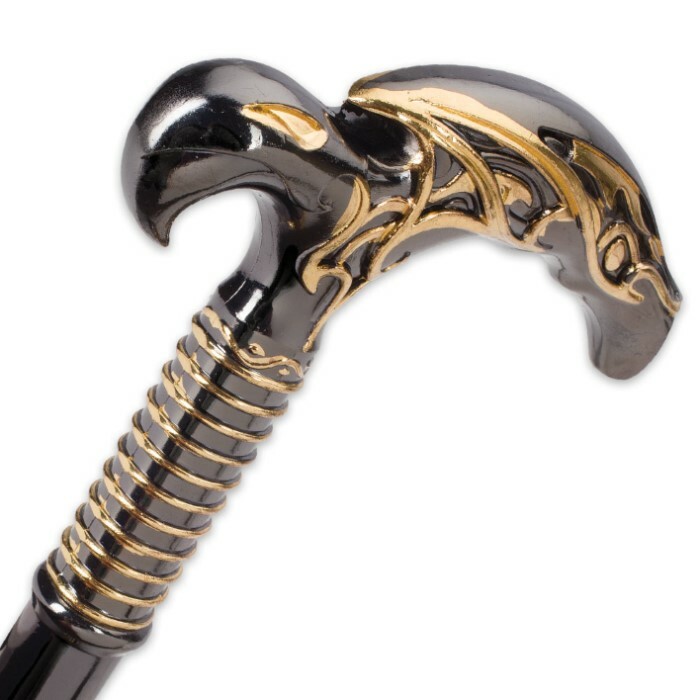 The pewter colored metal alloy handle has intricate gold-colored details and a shape and design that looks like it came right from the Lost City of Atlantis. Just a twist of the handle and you can access the 11 1/4” stainless steel blade hidden inside of the sturdy black aluminum shaft. The rubber toe assures you a slip-free step when walking. I was quite pleased with my purchase of the Steampunk cane. Loved the details of the cane.